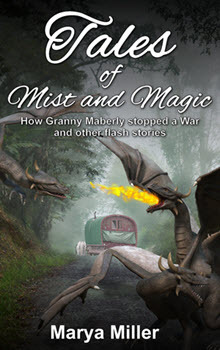 They say there are no more dragons — but Granny Maberly knows better. At ninety-four turns old, Granny’s seen more than her share of strange beings in her travels as matriarch to a headstrong Wagonwalker clan. And she’s lived long enough to know that not all monsters have horns (or tusks). Immortal Tarn who fall woefully short of legend; cannibal Moraggim haunting the Splintered Mountains; Sulg war bands; forbidden forests; magisters who won’t listen; healers who hide their gifts and even a Tower that eats souls — the Island of Dragonish harbours them all.